I have been tough on a “movement” that formed in Amarillo to promote a downtown revival plan that includes a multipurpose event venue. The Amarillo Millennial Movement, which in reality was a one-woman band, went all out for approval of the MPEV in a non-binding city referendum. The vote took place in November 2015; voters endorsed construction of the MPEV. What happened next has been the source of my criticism. The young woman who headed up AMM, Meghan Riddlespurger, then moved to Fort Worth. She had argued that the MPEV — aka “the Ballpark” — would entice young residents to stay “home,” to enjoy the fruits that the MPEV would bear. Well, it wasn’t enough to persuade her to stay. With her departure, AMM disappeared. That’s the bad news. I have some good news to report. Construction on the MPEV has begun. The Local Government Corporation has signed a lease agreement with Elmore Group, owners of the AA minor-league baseball team that’s going to play ball in Amarillo. They’ll toss the first pitch in April 2019. My point about the good news is that AMM can take pride in the legacy it has left in its wake. The MPEV is going to change the face, shape and personality of the city’s downtown district once it’s completed. Indeed, downtown’s appearance already has morphed into something my wife and I barely recognize these days. It looks a damn sight better than it did when my wife and I arrived here in early 1995. We had lunch today in a new restaurant that has opened in the old Woolworth Building at the corner of Seventh Avenue and Polk Street. The Levine Building makeover is well under way. Across the street from where we ate today is another eatery that’s taking shape. Downtown is full of hustle, bustle and buzz as crews continue their work on myriad construction projects. Oh, yeah. The MPEV site prep is well under way across the street from City Hall. Even though the irony that AMM would vanish after its founder pitched for retaining younger residents’ interest in their hometown is too rich to pass up, I don’t want to leave it at that. AMM’s founder, young Meghan Riddlespurger, can look at her former home with pride at what is happening at this moment. I am one resident who is quite proud of the progress that Amarillo has made — and is continuing to make. 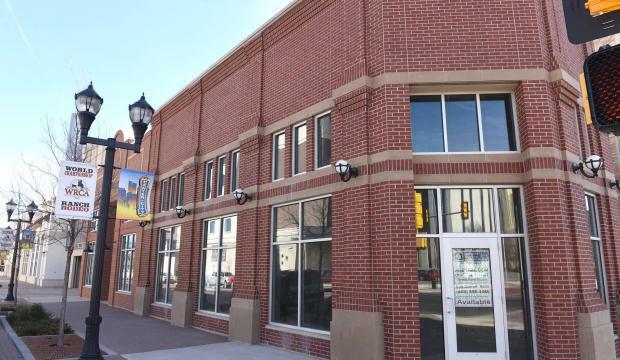 I got a glimpse of a headline on Amarillo.com that reveals how the retail space in the newly built parking garage on Buchanan Street in downtown Amarillo likely will remain empty for the foreseeable future. I couldn’t read the whole story because the pay wall popped up; since I don’t subscribe to the Amarillo Globe-News, I couldn’t read it. The retail spots are going to remain empty until the ballpark gets closer to completion, which is about all I could see of the story. So it well could be when they break ground on the multipurpose event venue, aka The Ballpark. The MPEV is taking shape as a sort of “field of dreams” for city, business and civic leaders who consider the project to be the gateway to a brighter future for Amarillo. I happen to agree with that view. Thus, it doesn’t worry me in the least that the garage’s ground floor row of retail space will remain empty for the time being. It makes sense. Why install an establishment that won’t reap the reward until after the MPEV is open for business and attracting crowds into the downtown business/entertainment district? If that’s the prevailing theory, then it makes perfect sense to yours truly. I remain optimistic — and you can remove the “cautiously” qualifier from that description — about the future of the MPEV and its impact on Amarillo. The Local Government Corp. has negotiated a deal to bring a AA minor-league baseball franchise to the city. They’ll break ground soon on the MPEV. It will open no later than April 2019, just in time for some hardball to be played. The MPEV will be built. I remain quite confident that the retailers will come. Yep. It looks like a ballpark. Amarillo’s Local Government Corp. has approved a design concept for arguably the most significant downtown project of the past half-century. It doesn’t have a name just yet. It’s going to be a multipurpose event venue, or MPEV. It’s also going to be a minor-league baseball venue, a ballpark. It’ll cost about $45.5 million to build. It’s going to be home to a AA minor-league baseball franchise that is moving from San Antonio to Amarillo. Plans call for the ballpark to be finished by February 2019. They’ll toss the first pitch for the new baseball season in April 2019. They’ve knocked down and scraped away the remnants of the old Coca-Cola distribution center that used to occupy the site along South Buchanan Street. I noticed some piles of dirt on the site the other day while driving downtown. Plans call for work to begin shortly after the first of the year. Elmore hasn’t yet signed the lease agreement but that event reportedly is imminent. I keep hearing the naysayers give raspberries to this project. They keep wondering aloud why the city is spending so much of its effort in reviving downtown. I also keep wondering: How in the world is all this a negative development for Amarillo? Yes, there have been some hiccups and missteps along the way. The city got through them. The LGC negotiated a 30-year lease agreement with the owner of the baseball team that’s coming here. The team owner, Elmore Sports Group, is going to pay the city $400,000 annually to rent the ballpark. The city plans to pay for the ballpark with hotel occupancy tax revenue. And in the bargain, the city’s downtown district will breathe deeply and is expected to throb with activity. We’re already seeing new urban residences being built; there will be new retail establishments; retail space along the ground floor of a shiny new parking garage is beginning to fill up; the just-opened Embassy Suites hotel figures to attract conventions to the Civic Center. This is a bad thing for Amarillo? To my way of thinking, it’s pretty damn good. I likely won’t be around when they throw out the first pitch, but I’ll be cheering the event nevertheless. 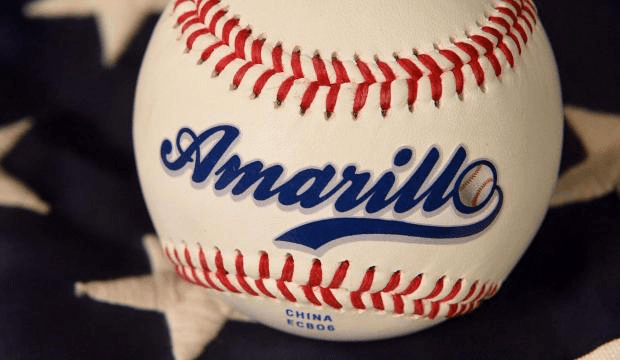 Amarillo’s Local Government Corporation has secured a deal that brings organized baseball back to the city. It comes in the form of the San Antonio Missions, which will depart the Alamo City and relocate in the Panhandle in time for the start of the 2019 season. This is a good deal. It’s a huuuge deal. It revives the hope of those of us who want to see the city build that multipurpose event venue downtown and want to see the city’s central district restored in a new fashion. The Elmore Sports Group, owner of the Missions, wants to move to Amarillo because of the promise of the downtown ballpark that will be erected across the street from City Hall. It will cost $45.5 million — give or take — and it will be funded primarily with hotel occupancy tax revenue. Is this project criticism-free? Hardly. We are going to hear from those who do not believe the city should invest so heavily in its downtown district. They want the city to spend money on other areas, on other neighborhoods, on other projects. What I see happening is a revival that is going to ripple across the city. The MPEV/ballpark will generate considerable interest for the city’s downtown district. That interest translated directly into revenue for the city. That revenue can be spent — wisely, of course — on myriad projects and improvements all across Amarillo. Now that the LGC has received the commitment it wanted from the Missions, work can begin in earnest on specific design plans for the MPEV. Crews have cleared out the lot. The Coca-Cola distribution center that once occupied that downtown property has relocated to a business park on the east side of the city. The sounds of baseball being played downtown will be new to those who have lived here for any length of time. My wife and I have called Amarillo home for more than two decades. Our life is set to change in due course as we continue to prepare for our relocation. The city’s life is about to change, too. Also for the better. Affiliated minor-league baseball is returning to Amarillo, which used to be home to the Gold Sox, a team affiliated with the San Diego Padres of the National League. And that makes the Missions’ relocation somewhat poetic and symmetrical, as that team also is part of the Padres organization. There’s much to do. But with the announcement today that the Missions have signed on the dotted line, the LGC can claim much work has been done already. I do not know this person, only witnessed his antics from some distance. Still, I feel the need to offer a brief critique of someone who is going to exit the Amarillo political scene. I hope his departure is permanent … unless he learns to change his way of doing things and learns how to act in a more collegial manner. Randy Burkett has served one occasionally tumultuous term as an Amarillo city councilman. He has chosen not to seek re-election to a second term. I won’t miss him or his occasional outbursts and fits of petulance. Burkett was one of three newbies elected to the council in May 2015. He promised to change things. He did — in his own sort of way. You see, I’ve always viewed Amarillo City Hall politics to be a fairly genteel endeavor. I have watched it up close — as a journalist — for more than two decades and have grown fairly familiar with the rhythm of the place and of the governing body once known as the City Commission and now known as the City Council. There’s always been a sort of unwritten code among City Council members: You are welcome to disagree with policy matters, but once we make a decision, we prefer to lock arms and speak with one voice. The city has had a couple of notable contrarians who have served during the years I have watched its governing body. I can think of the late Commissioners Dianne Bosch and Jim Simms. They generally, though, lived by the terms of that unwritten code. Burkett didn’t seem to adhere to that code. He would mouth off publicly when he disagreed with a city policy, or if he had differences with the way Mayor Paul Harpole conducted City Council proceedings. Burkett seemed quite willing to call attention to himself. He recently talked out loud about a so-called pending deal to lock up a minor league baseball franchise relocating to Amarillo. He drew a sharp rebuke from the head of the Local Government Corp., which is negotiating the deal. 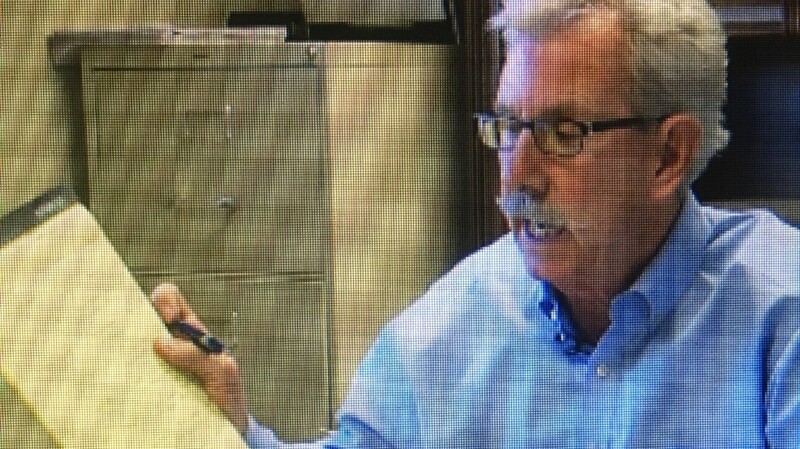 The deal is far from done, said LGC chairman Jerry Hodge, who said he was “ashamed” of Burkett for speaking out of turn. Burkett loves to use the social medium known as Facebook. He has posted some pretty, um, controversial messages. Some critics have complained about what they consider to be some xenophobic comments regarding Muslims. A TV reporter just recently broadcast a story that questioned whether Burkett — the owner of an outdoor advertising company — had profited from a City Council vote he had cast that benefited the firm he owns. Burkett denied it — vigorously and vociferously on social media. Burkett makes no apologies for the manner in which he helped govern the city. I don’t expect any from him. And I do wish him well as he departs from the public arena after the May 6 municipal election. My expectation would be for the city to return to a more civil public demeanor among its governing council members. And, no, I don’t want a pack of “yes” men and women. However, it’s not unreasonable to hope they can return to the credo that has helped keep this wonderful city moving forward smoothly for the past several decades. 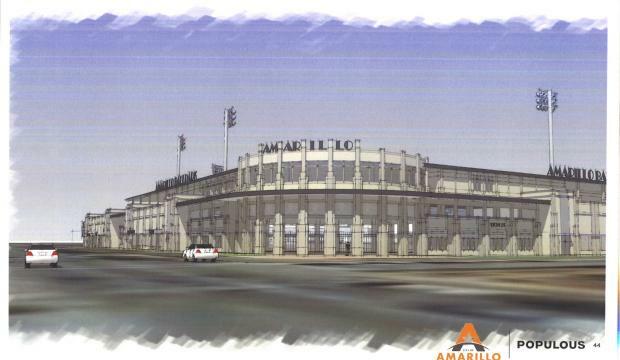 Amarillo wants a commitment, a signed contract from the potential tenants who’ll want to play baseball in the city’s proposed downtown ballpark. I get it. What’s next, though, is beginning to get a bit murky. San Antonio’s Missions baseball team declined to sign a letter of intent to move from South Texas into the proposed MPEV in downtown Amarillo. 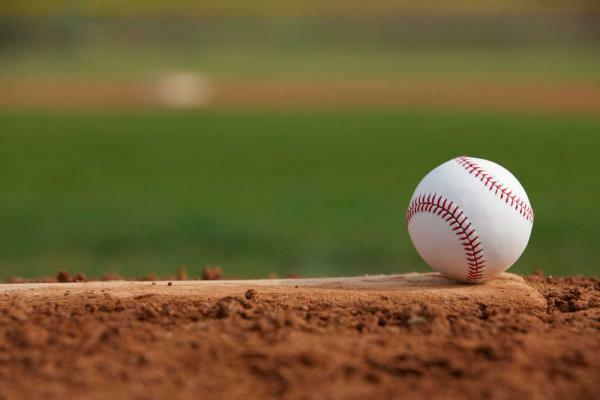 Amarillo’s Local Government Corporation is going to proceed with negotiations with a sports group that owns several baseball franchises, including the AA San Antonio Missions. The Missions might move to Amarillo after San Antonio lands a AAA franchise that will play in a stadium there. Amarillo Deputy City Manager Bob Cowell says it’s still a possibility, but that the city has “less breathing room” than it had before. I’m getting a bit nervous about this. I don’t seriously doubt the merits of what Amarillo wants to do. I am beginning have concern that the LGC is capable of nailing down the commitment from the Missions to actually move here by, say, 2019. Amarillo wants to open the MPEV for business by the spring of 2018. A city official in the know told me today that the city plans to start knocking down the now-vacant Coca-Cola distribution center on the MPEV site later this summer. If the Coca-Cola site is demolished, it should stand to reason to expect that construction on the MPEV would commence shortly thereafter. Is that right? Well, have we seen any design yet? Has the city received a definitive cost of the ballpark/MPEV? It started out at $32 million, but the cost rose to about $50 million when the LGC announced plans to go after the AA franchise. I understand the reason for the inflated cost. What’s beginning to make me sweat, though, is whether the LGC is able to juggle all the balls required to ensure that we’ll have a tenant in the MPEV when the city cuts the ribbon to open it. I will remain optimistic. With caution. I am likely to get the sequence slightly mixed up, but I’m trying to assemble the series of positive steps that have been taken in downtown Amarillo. — It conducts a series of public hearings. — The City Council approves the plan and then approves creation of agencies dedicated to crafting a strategies to bring the district back to life. — Debate ensues and it becomes quite, um, lively about the direction the city is taking. — Three new council members join the governing body after a contentious municipal election campaign. — The Local Government Corporation agrees to proceed with plans to build a multipurpose event venue, according to the wishes of voters who endorsed the concept in a citywide referendum. — Construction begins on a convention hotel and a parking garage. — Now comes the latest bit of good news, which was announced today at noon: plans for new restaurants that will go into the Woolworth Building on South Polk Street. I’ve likely missed a few points along the way. But I do sense continuing momentum in the effort to reshape, reconfigure, rehabilitate, revive and restore the city’s downtown business district. Let’s face the blunt truth here. Downtown has been a moribund place for a good while. My own personal observation of the district, dating back to early 1995 when I first arrived in Amarillo, tells me that downtown is in far better shape than it was when my wife and I arrived here. I get that there are many more hills to climb. The city must find a new council member to succeed Brian Eades, who’s planning to resign from the council this summer. That selection process has hit a few bumps along the way. 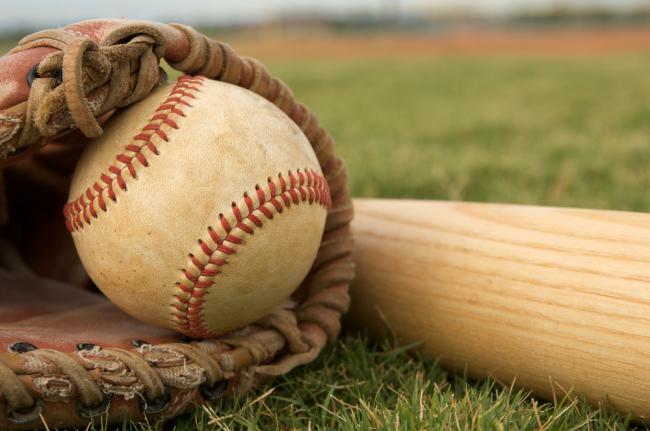 The city is negotiating with a baseball franchise to relocate its operation to Amarillo, where it will play ball at a planned baseball park to be built at the site of the now-vacant Coca-Cola distribution center. But we’ve heard about convention business already being booked because of the convention hotel’s pending arrival on the scene. City and civic leaders have told us for years about all the convention business the city has lost because of a lack of appropriate nearby lodging for conventioneers. Is all this activity connected? Is it related to the city’s efforts to resuscitate its downtown district? It looks that way to me. To be honest, I am puzzled by the chronic gripers who keep saying all this is somehow bad for Amarillo. 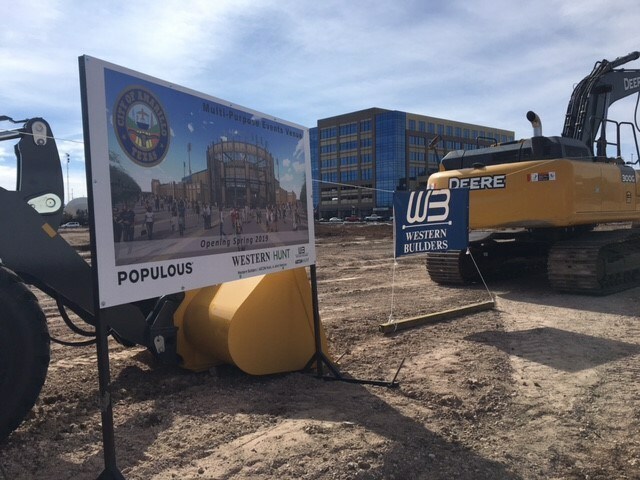 Amarillo is getting ready — soon, I hope — to unveil plans for construction of a baseball park downtown. Its price tag has inflated a bit, from $32 million to around $50 million — give or take. The plan is to lure a Class Double-A baseball team that’s affiliated with the San Diego Padres of the National League. The team would relocate here from San Antonio, which is seeking to bring a Class Triple-A team from Colorado Springs. Get a load, though, of what they’re planning for Arlington, Texas, where the Texas Rangers play hardball in the American League. 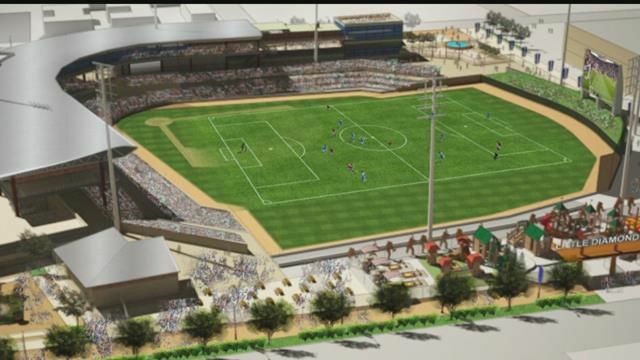 The city leaders want to replace a 22-year-old ballpark with a $900 million structure. Good deal, yes? I guess so. These ballparks cost a lot of dough these days. I only wish the Arlington folks would drop the idea of putting a roof on the new stadium, presuming it will be approved by voters who will be asked for their blessing. Don’t get me started on the designated hitter, pine tar and all the body armor that batters wear when they’re facing a fastball-throwing pitcher. When the Amarillo ballpark gets rolled out, my sincere hope is that the architects that the Local Government Corporation will hire will keep it simple. I am not thrilled at the escalated cost of the ballpark — aka the multipurpose event venue — but it can be kept somewhat in check if we dispense a measure of the glitz and glamor that’s likely to be built into that showcase down yonder in Arlington. They are called “catalyst projects” for a reason. You build certain structures, provide certain amenities in the downtown district, then other positive events would follow. That’s the plan, right? OK, then. 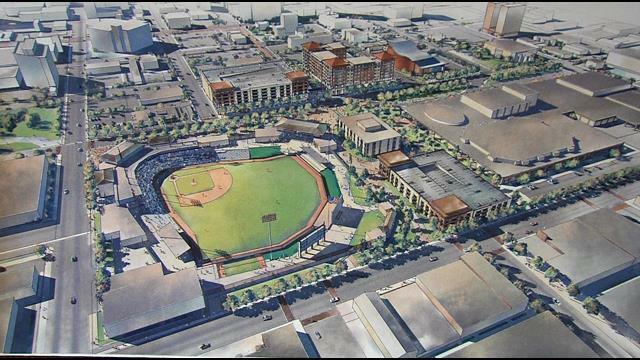 So now we hear that Amarillo’s catalyst projects — namely the construction of the downtown convention hotel and a parking garage — seem to have enticed the owners of a minor-league baseball franchise into talking actively with the city about moving here. Oh, yes. We also have that ballpark that’s on the drawing board. Amarillo’s Local Government Corporation has confirmed that it is negotiating with the San Antonio Missions to move that franchise from South Texas to right here, in ol’ Amarillo. The San Antonio Missions have made their intentions clear down yonder. The Class Double-A Missions are hoping to clear out for San Antonio to welcome a Class Triple-A club. The Missions — which are affiliated with the San Diego Padres of the National League — say they want to relocate to Amarillo. The LGC has laid down its marker: It wants the Missions to come here. Isn’t that the definition of “catalyst”? Work on the MPEV hasn’t yet begun. The LGC has been tasked with coming up with designs and financing feasibility plans. The City Council has given the LGC a deadline to finish the job and so far the LGC has been faithful to the task it has been given. If the rest of it comes together, we’ll get the MPEV/ballpark, we’ll get a serious minor-league baseball franchise here, the convention hotel will be open for business, the parking garage will be storing vehicles and doing business in the retail shops planned for the structure. I am among those who is hopeful that a letter of intent from the San Antonio Missions will be in hand … maybe soon. That, too, is a catalyst of its own.